For 19th century lumbermen, the key to logging in the Chippewa Valley was getting pine logs to go where they wanted them to go. 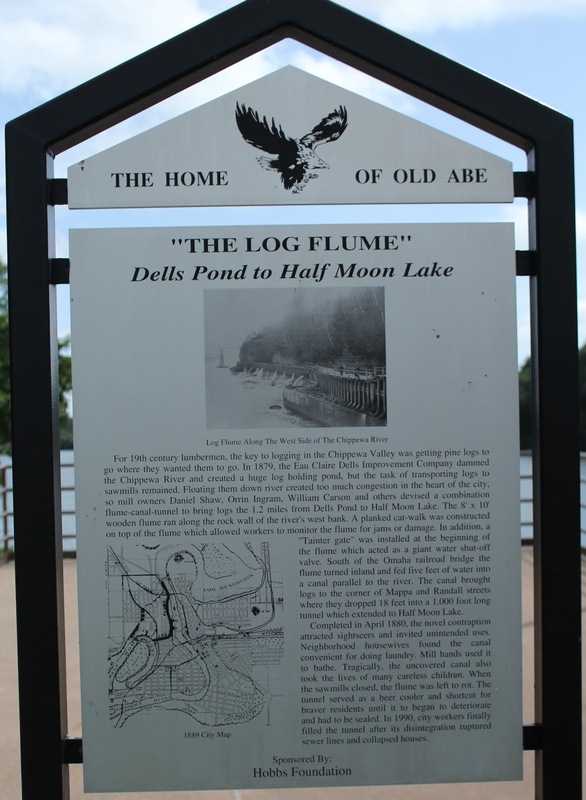 In 1879, the Eau Claire Dells Improvement Company dammed the Chippewa River and created a huge log holding pond, but the task of transporting logs to sawmills remained. 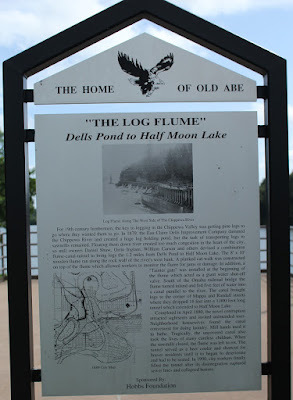 Floating them down river created too much congestion in the heart of the city, so mill owners Daniel Shaw, Orrin Ingram, William Carson and others devised a combination flume-canal-tunnel to bring logs the 1.2 miles from Dells Pond to Half Moon Lake. The 8' x 10' wooden flume ran along the rock wall of the river's west bank. A planked cat-walk was constructed on top of the flume which allowed workers to monitor the flume for jams or damage. In addition, a "Tainter gate" was installed at the beginning of the flume which acted as a giant water shut-off valve. South of the Omaha railroad bridge the flume turned inland and fed five feet of water into a canal parallel to the river. The canal brought logs to the corner of Mappa and Randall streets where they dropped 18 feet into a 1,000 foot long tunnel which extended to Half Moon Lake. Completed in April 1880, the novel contraption attracted sightseers and invited unintended uses. Neighborhood housewives found the canal convenient for doing laundry. Mill hands used it to bathe. Tragically, the uncovered canal also took the lives of many careless children. When the sawmills closed, the flume was left to rot. The tunnel served as a beer cooler and shortcut for braver residents until it to began to deteriorate and had to be sealed. In 1990, city workers finally filled the tunnel after its disintegration ruptured sewer lines and collapsed houses. 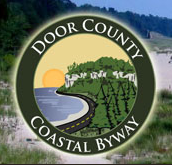 The marker is located at Half Moon Park Beach, easily accessible from a parking lot at the west end of Randall Street, west of its intersection with Whipple Street, at or near 615 Randall Street, Eau Claire 54701. This marker is No. 19 in a series of markers erected by the Eau Claire Landmarks Commission. The marker is located at Half Moon Beach. View of the beach from the marker overlook.